Formed in 1873, the Physics Department at the University of California, Berkeley has been home to numerous discoveries in the physical sciences. It is home to 7 Nobel laureates in physics and was a part of such important work as the development of the atomic bomb, cyclotrons. It has been in charge of Lick Observatory, Los Alamos National Laboratory and the Lawrence Berkeley Laboratory. 1873First classes in physics held and was the first established academic discipline, Berkeley (Calif.). 1873 – 1875John LeConte ran the physics department on his own until he became the President of the University. 1888Lick Observatory opened and became the main home of Berkeley's astronomers. 1903Department granted its first Ph.D.
1912 – 1922Physics Department occupied all of South Hall. 1918 – 1980Raymond Birge was on faculty. 1922Physics Department moved to LeConte Hall. 1923 – 1978Leonard Loeb was on faculty. 1925Raymond Thayer Birge's work fed into the breakthrough of quantum mechanics. 1926 – 1929Samuel Allison was on faculty. 1927 – 1928Joseph Mayer was on faculty. 1927 – 1986Robert Brode was on faculty. 1928 – 1958Ernest Lawrence was on faculty and Director, Radiation Laboratory. 1929 – 1947J. Robert Oppenheimer was on faculty. 1931 – 1934M. Stanley Livingston was on faculty. 1932 – 1934Wendell Furry was on faculty. 1932 – 1991Edwin McMillan was on faculty. 1934 – 1938Robert Serber was on faculty. 1935 – 1936Oscar Rice was on faculty. 1936 – 1988Luis Alvarez was on faculty. 1937 – 1940Leonard Schiff was on faculty. 1938 – 1940Dale Corson was on faculty. 1938 – 1989Emilio Segrè was on faculty. 1939 – 1941Julian Schwinger was on faculty. 1940 – 1941Isadore Perlman was on faculty. 1940 – 1942Chien-Shiung Wu was on faculty. 1940 – 2003A. Carl Helmholz was on faculty. 1941Robert Sachs was on faculty. 1941 – 1942Samuel Weissman was on faculty. 1942Oppenheimer met at Berkeley with others for a set of secret meetings on the design of an atomic bomb. 1943 – 1958Herbert York was on faculty and Associate Director, Radiation Laboratory. 1945 – 1951Robert Serber was on faculty. 1945 – 1951Wolfgang Panofsky was on faculty. 1947 – 1970Burton Moyer was on faculty. 1948 – 1949Marvin "Murph" Goldberger was on Radiation Laboratory faculty. 1948 – 1950Gian Wick was on faculty. 1948 – 1950Geoffrey Chew was on faculty. 1948 – 2006Owen Chamberlain was on faculty. 1949 – 1950Jack Steinberger was on faculty. 1949 – 1950Kenneth Case was on Radiation Laboratory faculty. 1949 – 1951Kenneth Watson was on Radiation Laboratory faculty. 1950 – 1951Tsung-Dao Lee was on faculty. 1950 – 1952Harold Brown was on Radiation Laboratory faculty. 1950 – 1965William Nierenberg was on faculty. 1950 – 2000John Reynolds was on faculty. 1951 – 1964Malvin Ruderman was on faculty. 1951 – 1971Norris Bradbury was on faculty. 1951 – presentCharles Kittel was on faculty. 1952University of California Radiation Laboratory at Livermore created as an offshoot of the Radiation Laboratory. 1952 – 1953Elihu Abrahams was on faculty. 1952 – 1954Richard Arnowitt was on Radiation Laboratory faculty. 1952 – 1995Carson Jeffries was on faculty. 1953 – 1975Edward Teller was on faculty. 1953 – 2010Gerson Goldhaber was on faculty. 1954 – 1955Stanley Deser was on Radiation Laboratory faculty. 1955 – 1957Frank Stephens was on Radiation Laboratory faculty. 1955 – 1966Michael Tinkham was on faculty. 1955 – presentErwin Hahn has been on faculty. 1956Antineutron was discovered by four scientists using the Bevatron. 1956 – 1957Jack Sandweiss was on Radiation Laboratory faculty. 1956 – presentHerbert Steiner has been on faculty. 1957 – 1981Kenneth Watson was on faculty. 1957 – presentGeoffrey Chew has been on faculty. 1958Element 102 was discovered by four scientists using the HILAC (heavy ion linear accelerator). 1958 – 1959Amnon Yariv was on faculty. 1958 – 1959James Phillips was on faculty. 1958 – 1960Stanley Mandelstam was on faculty. August 1958Radiation Laboratory renamed the Lawrence Radiation Laboratory after Ernest Lawrence's death. 1959 – 1960Victor Emery was on faculty. 1959 – 1960Donald Langenberg was on faculty. 1959 – 1964Donald Glaser was on faculty. 1960 – 1969Steven Weinberg was on faculty. 1960 – presentGeorge Trilling has been on faculty. 1960 – presentEugene Commins has been on faculty. 1960 – presentGareth Thomas has been on faculty. 1961 – 1962Alan Heeger was on faculty. 1961 – 1964John Hopfield was on faculty. 1962 – 1963Gordon Baym was on faculty. 1962 – 1963Barry Barish was on faculty. 1962 – 1966Sheldon Glashow was on faculty. 1963 – 1964Victor Emery was on faculty. 1963 – 1965Alexander Fetter was on faculty. 1963 – presentStanley Mandelstam has been on faculty. 1964Birge Hall opened, nearly doubling the department's space on campus. 1964 – presentMarvin Cohen has been on faculty. 1964 – presentYuen-Ron Shen has been on faculty. 1965 – 1966Daniel Freedman was on faculty. 1966James Bardeen was on faculty. 1966 – 1968Ronald Davidson was on faculty. 1966 – presentPaul Richards has been on faculty. 1967 – 1968Joel Appelbaum was on faculty. 1967 – presentJ. David Jackson has been on faculty. 1967 – 2015Charles Townes was on faculty. 1968 – presentJohn Clarke has been on faculty. 1969 – 1975John Clauser was on faculty. 1969 – 1995Leopoldo Falicov was on faculty. 1969 – presentP. Buford Price has been on faculty. 1971Lawrence Radiation Laboratory renamed the Lawrence Berkeley Laboratory. 1971University of California Radiation Laboratory at Livermore became its own laboratory and renamed itself the Lawrence Livermore Laboratory. 1973 – 1996John Holdren was on faculty. 1974 – presentChristopher McKee was on faculty. 1976 – 1977Steven Louie was on faculty. 1976 – 1978Steven Chu was on faculty. 1978 – 1981Dale Van Harlingen was on faculty. 1980 – presentSteven Louie has been on faculty. 1981 – 2014Bruno Zumino was on faculty. 1981 – presentMary Gaillard has been on faculty. 1983 – 1998Steven Kahn was on faculty. 1983 – presentRoger Falcone has been on faculty. 1986 – 1991William Bialek was on faculty. 1987 – 1989Lisa Randall was on faculty. 1987 – 1993Andrew Lange was on faculty. 1989 – 1990Margaret Murnane was on faculty. 1990 – 1997John Clauser was on faculty. 1990 – 2002J. C. Seamus Davis was on faculty. 1990 – presentMarjorie Shapiro has been on faculty. 1991 – 2008Daniel Chemla was on faculty. 1991 – 2012Stuart Freedman was on faculty. 1996 – 1999Adam Riess was on faculty. 2000 – presentFrances Hellman has been on faculty. 2003 – presentRobert Dynes has been on faculty. 2004 – presentRobert Birgeneau has been on faculty. 2004 – presentCharles Shank has been on faculty. 2006Ended direct involvement with Los Alamos National Laboratory. 2009 – presentWick Haxton has been on faculty. 2015 – presentBarbara Jacak has been on faculty. 2016 – presentMichael Witherell has been on faculty. Assistant, Assistant Professor, Associate Professor, Professor, and Emeritus Professor of physics. Received BA in 1957, PhD in 1962, and Research Fellow. Lecturer and Assistant Research Physicist. Received AB in 1970, PhD (Biophysics) in 1983, and Assistant Professor of Physics and Biophysics. Instructor, Assistant professor, Associate professor, Professor, Chair of department of physics, and Emeritus Professor of physics. Received PhD (Physics and Mathematics) in 1932. Professor of Physics. Assistant Professor to Associate Professor of Physics, Professor of Physics, and Emeritus Professor of Physics. Assistant Professor of Physics; Professor of Physics; Chair, Department of Physics; Dean of Physical Sciences; and Emeritus Professor of Physics. Received PhD (Physics) in 1976. Postdoctoral Research Fellow. Postdoctoral Fellow, Assistant Professor of Physics, Associate Professor of Physics, Professor of Physics, Luis W. Alvarez Memorial Chair for Experimental Physics, and Professor of the Graduate School. Postdoctoral Research Associate and Research Physicist. Received AB in 1957. Assistant Professor of Physics, Associate Professor of Physics, Professor of Physics, and University Professor. Assistant to Associate Professor of Physics; Professor of Physics; Chair, Department of Physics; and Professor Emeritus of Physics. Received PhD in 1938. Research Fellow and Instructor in Physics. Received PhD (Physics). Postdoctoral Research Associate, Assistant Professor of Physics, Associate Professor of Physics, and Professor of Physics. Harkness Fellow and Visiting Assistant Professor. Assistant Professor of Physics, Associate Professor of Physics, Chair, Department of Physics, and Professor of Physics. Received BS and PhD (Physics), and Professor of Physics. Visiting Professor of Physics and Professor of Physics. Acting Assistant Professor to Associate Professor of Physics, Assistant Research Professor, Miller Institute for Basic Research, Assistant Research Professor, Miller Institute for Basic Research, and Professor of Physics in the Graduate School. Assistant Professor to Professor of Physics and Emeritus Professor of Physics. Visiting Miller Professor and Professor of Physics. Received PhD (Physics) in 1961 and Research Associate in Physics. Department chair and Professor of Physics. Received PhD (Physics) in 1940; Instructor; Assistant Professor of Physics; Associate Professor of Physics; Professor; Chair, Department of Physics; and Emeritus Professor. Professor of Physics; Professor Emeritus of Physics; and Chair, Department of Physics. Instructor to Associate Professor of Physics, and Professor of Physics. Received PhD in Physics (1980); Assistant Professor of Physics; Associate Professor of Physics. Received PhD (Physics) in 1987 and Assistant Professor of Physics. Received PhD (1931) and Research Associate. Attended for undergraduate education. Assistant Professor, Associate Professor, Professor, and Emeritus Professor of physics. Received AB (1972) and PhD (1976); National Science Foundation Fellow; Associate Professor of Physics; Professor of Physics; Professor, Miller Institute of Basic Research in Science; Member, Executive Committee, National Science Foundation Center of Integrated Nanomechanical Systems. Assistant Research Physicist; Professor of Physics; and Professor Emeritus of Physics. Received PhD in 1970. Assistant Professor to Associate Professor; Professor of Physics and Astronomy; Chair, Department of Physics; and Director, Theoretical Astrophysics Center. National Research Council (NRC) Fellow, Research Associate, Instructor in physics, Assistant Professor of physics, Associate Professor of physics, Professor of physics, and Emeritus Professor of physics. Department chair; Lecturer; Associate Professor; and Professor. Received PhD (1989) and Researcher. Assistant professor, Associate professor, and Professor of theoretical physics. Received PhD (1986) and Professor of Physics. Professor of Physics; Dean of Physical Sciences; Professor, Graduate School; Director, Space Sciences Laboratory; and Department Chair. Assistant Professor to Professor of Physics; Professor of Physics; Department Chair; Emeritus Professor of Physics. Received PhD in 1960. Professor of Physics and Professor Emeritus of Physics. Assistant Professor to Professor of Physics and Professor Emeritus of Physics. Research Fellow in Theoretical Physics. National Research Council (NRC) Fellow, Research Associate in physics, and Researcher. National Research Council (NRC) Fellow and Research Associate. Department chair; Professor of Physics; Emeritus Professor of Physics. National Research Council Fellow, Research Associate, and Professor of Physics. Received PhD (1984); Assistant Professor of Physics; Associate Professor of Physics; Professor of Physics; and Department Chair. Assistant Professor to Associate Professor of Physics, and Professor of Physics. Received BS (1951) and PhD (1956); Lecturer; Assistant Professor to Associate Professor; Professor to Emeritus Professor; and Department Chair. Assistant Professor to Associate Professor; Professor of Metallurgy; Emeritus Professor of Materials Science and Engineering. Research Physicist and Lecturer and Assistant Professor to Professor of Physics. University Professor and University Professor Emeritus. Associate Professor of Physics, Professor of Physics, Department chair, and Emeritus Professor of Physics. Assistant Professor and Professor of Physics. Received PhD (1940) and Resident Fellow and Lecturer. Received PhD (1949). Assistant Professor of Physics. Received Ph.D. in nuclear physics. Received undergraduate degree, PhD in Physics, Research Associate in Physics. Received MA in 1953 and PhD in 1956 (Physics). Received MA in 1978 and PhD in 1980. Received PhD (Theoretical Physics) in 1941. Received PhD (Physics) in 1980. Received BS, MS, and PhD (Physics) in 1954. Received PhD (Physics) in 1952. Received PhD (Physics) in 1960. Received PhD (Physics) in 1966. Received MA in 1963 and PhD in 1965. Received PhD (Physics) in 1985. Received BA and PhD (Physics) in 1974. Received PhD (Physics) in 1923. Received PhD (Physics) in 1958. Received PhD (Physics) in 1938. Received PhD (Physics) in 1974. Received Ph.D. in theoretical physics. Received AB (1948) and PhD (1951). Received BS (1952) and PhD (1956). Received PhD (Physics) in 1982. Received MA (1930) and PhD (1931). Received A.B. and Ph.D. in 1940. Received PhD in Physics (1961). Received PhD in 1983 (Physics). Received PhD (Physics) in 1959 and National Science Foundation (NSF) Fellow. 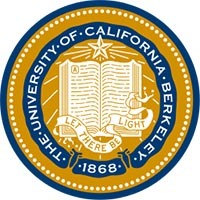 Founded as part of the University of California, Berkeley. Now a United States Department of Energy lab managed and operated by the university. Offshoot of the Radiation Laboratory at Berkeley in 1952 and became its own separate laboratory in 1971. Lab was originally part of Berkeley and university now part of operating partnership. Owned and operated by the University of California. Originally run by the University of California and led during the Manhattan Project by University of California, Berkeley professor J. Robert Oppenheimer. University of California ended its direct involvement in 2006. Jointly run the Lawrence Berkeley Laboratory. Breaking through: a century of physics at Berkeley, 2009 [web exhibit]. Dedication of Raymond Thayer Birge Hall, 1964. Discovery and creativity in science [videorecording], 2006. UC Berkeley Department of Physics records, circa 1919-2002. A life in physics : Bell Telephone Laboratories and World War II, Columbia University and the laser, MIT and government service, California and research in astrophysics : oral history transcript / Charles Hard Townes ; with an introduction by Arthur L. Schawlow ; interviews conducted by Suzanne B. Riess in 1991-1992. Regional Oral History Office, The Bancroft Library, University of California, 1994. A. Carl Helmholz papers, circa 1945-1981. Arthur F. Kip papers, circa 1933-1978. Arthur Gray correspondence, lecture notes and memorabilia pertaining to Gray's years as a student and instructor at Leiden and the University of California, Berkeley, 1908-1928. Berkeley days: how great events shaped our careers, for Elihu Abrahams at his 80th birthday celebration, 2007. Berkeley physics course on electricity and magnetism, vol. 2, 1963. Charles Hard Townes papers, 1948-1996. Charles Kittel autobiographical notes, 1982. Charles L. Schwartz papers, 1968-1995. Dale E. Sayers papers, 1959-2004. Edward Gerjuoy: from physics to law and back again, 2010. Edwin M. McMillan papers, undated. Ernest O. Lawrence papers, 1948-1958. Ernest O. Lawrence papers, circa 1920-1968. Francis A. Jenkins papers, 1956-1958. Frederick Slate papers : additions, 1879-1894. Geoffrey F. Chew papers, circa 1921-1991. George Glockler scientific publications, volume 5, 1951-1964. Gerson Goldhaber scientist records, 1956-1990 (bulk 1961-1989). Harvey Elliot White autobiography : typescript. Herbert Childs materials assembled for a biography of Ernest O. Lawrence, 1960-1968. John Hamilton Reynolds papers, 1949-1998. Keck Telescope Oral History Project interviews. Kenneth S. Pitzer lecture notes on quantum theory, 1949. Kinsey Anderson papers, circa 1950-1993. Leonard B. Loeb addition to papers, 1928-1977. Leonard Benedict Loeb papers, 1916-1970. Luis W. Alvarez bubble chamber logs, 1956-1970. M. King Hubbert papers, 1847-1990. Nan Dieter Conklin: a life in science, 2001. Notes on quantum mechanics: physics 221, Oppenheimer, 1939 by B. Peters. Olli V. Lounasmaa papers, 1957-2004. Oral history interview with Alan J. Heeger, 2006 March 13 and 16. Oral history interview with Alan M. Portis, 1982 June 15. Oral history interview with Alex G. Kim, 2007 July 31. Oral history interview with Amnon Yariv, 1985 January 28. Oral history interview with Arthur Frederic Kip, 1982 June 16. Oral history interview with Arthur von Hippel, 1981 October 6. Oral history interview with Bengt Georg Daniel Strömgren, 1976 May 6 and 13. Oral history interview with Betsy Ancker-Johnson, 2008 December 8. Oral history interview with Carl Anderson, 1966 June 30. Oral history interview with Charles Christian Lauritsen, 1966 June 27. Oral history interview with Charles Donald Shane, 1967 July 11 and 14. Oral history interview with Charles Donald Shane, 1968 February 22 and March 14. Oral history interview with Charles Donald Shane, 1977 February 11. Oral history interview with Charles H. Townes, 1991-1992. Oral history interview with Charles Leon Schwartz, 1987 May 15. Oral history interview with Charlotte Moore Sitterly, 1978 June 15. Oral history interview with David Bohm, 1981 May 8. Oral history interview with David Pines, 1981 April 13 and 16. Oral history interview with Dudley Herschbach, 2003 May 21 and 22. Oral history interview with Edward Gerjuoy, 2012 April 1, October 7, and 2013 April 14. Oral history interview with Edwin McMillan, 1972 June 1 and October 30. Oral history interview with Fred Noel Spiess, 1999. Oral history interview with Gary T. Boyd, 2008 December 2. Oral history interview with George Brooks Field, 1980 July 14 and 15. Oral history interview with George Field, 2007 December 5. Oral history interview with George Preston, 2003 February 13 and 14. Oral history interview with Gerald Edward Kron, 1978 May 20. Oral history interview with Harold Clayton Urey, 1964 March 24. Oral history interview with Harold F. Weaver, 1977 July 20 and 1978 July 22. Oral history interview with Horace W. Babcock, 1977 July 25. Oral history interview with Hyron Spinrad, 1977 July 19. Oral history interview with Joel Henry Hildebrand, 1960. Chemistry, Education and the University of California. 1960. Oral history interview with Joel Henry Hildebrand, 1962 August 6. Oral history interview with Joel Henry Hildebrand, 1974 March 11, 18, 26 and 1978 August 9. Oral history interview with John Henry Manley, 1976 July 9 and 11. Oral history interview with John Verhoogen, 1990 November 6. Oral history interview with John W. Gofman, 1980 24 July to 8 August. Oral history interview with Jorge Sahade, 1997 August 24. Oral history interview with Joseph Edward Mayer, 1975 January 24. Oral history interview with Joseph Giordmaine, 1984 May 31 and June 4. Oral history interview with Joseph Polchinski, 2009 March 18. Oral history interview with L. Jackson Laslett, 1970 October 18. Oral history interview with Lawrence H. Aller, 1979 August 18. Oral history interview with Lee A. DuBridge, 1972 June 9. Oral history interview with Ludwig Franz Benedikt Biermann, 1978 June 23 and July 6. Oral history interview with Malcolm Aitken, 1977 July 17. Oral history interview with Marion King Hubbert, 1989 January 4 to 6 February. Oral history interview with Mary Lea Heger Shane, 1967 July 15. Oral history interview with Michael Bass, 1985 May 29. Oral history interview with Michael Werner, 2008 July 25. Oral history interview with Milton Grandison White, 1972 May 11 to 1975 February 28. Oral history interview with Morrel H. Cohen, 1981 March 31 and June 5. Oral history interview with Nannielou Dieter-Conklin, 1977 July 19. Oral history interview with Nicholas Mayall, 1976 June 3. Oral history interview with Norman Ramsey, 1983 July 12. Oral history interview with Olin C. Wilson, 1978 July 11. Oral history interview with Patricia Wallace Durbin, 1979 and 1980. Oral history interview with Paul Herget, 1977 April 19 and 20. Oral history interview with Paul K. Hansma, 2006 May 2 and August 7. Oral History interview with Philip Hauge Abelson, 2002 June 19, 26 and July 3. Oral history interview with Richard Doell, 1978 April 17, 26, and 28. Oral history interview with Richard G. Kron, 1977 July 19. Oral history interview with Richard Thomas Arnold, 1994 August 10. Oral history interview with Robert Farquhar, 2007 November 15, 29, 2008 February 27 and July 22. Oral history interview with Robert Wilson, 1977 May 19. Oral history interview with Robert Wilson, 1978 May 8 through 1981 January 23. Oral history interview with Rudolf Kippenhahn, 1978 June 18. Oral history interview with Stanislaus Vasilevskis, 1977 July 13 and 22. Oral history interview with Sten von Friesen, 1971 October 22. Oral history interview with Vera Kistiakowsky, 1976 April 27, May 11, 26, June 15, August 26, and September 1. Oral history interview with Vern Oliver Knudsen, 1966 December 20 to 1969 June 3. Teacher, researcher, and administrator: transcript, 1966-1969. Oral history interview with Victor Fritz Lenzen, 1960. Oral history interview with William Aaron Nierenberg, 1986 February 6 and June 26, 30. Oral history interview with William Bridges, 1985 January 28. Oral history interview with William C. Livingston, 2009 August 22. Oral history interview with William E. Siri, 1980. Oral history interview with William F. Van Altena, 1977 February 21. Oral history interviews. Geophysics and Oceanography: Incorporated Research Institutes for Seismology (IRIS), 1992-1994. Oral history interviews. Ground-based astronomy: Berkeley-Illinois-Maryland Array (BIMA), 1996-1997. Oral history interviews. Ground-based astronomy: Sagittarius-A, 1996-1997. Oral history interviews. Ground-based astronomy: Three Millimeter Very Long Baseline Interferometry (3 MM VLBI), 1996-1997. Oral history interviews. Ground-based astronomy: Very Long Baseline Interferometry Consortium (VLBI), 1996-1997. Oral history interviews. High-Energy Physics. Selected Experiments: FNAL-E-632: An Exposure of the 15-Foot Bubble Chamber with a Neon-Hydrogen Mixture To a Wideband Neutrino Beam from the Tevatron, 1990-1991. Oral history interviews. Nuclear and heavy-ion physics: BNL 814 and 877, 1996-1997. Oral history interviews. Nuclear and heavy-ion physics: BNL 878 and 896, 1996-1997. Oral history interviews. Space Science: International Sun-Earth Explorer (ISEE), 1992-1994. P. Gerald Kruger letters$bto Erika Wackenroder Kruger, Germany: 1939-1940. Philip H. Abelson autobiography, undated. R. J. Slobodrian response to 1988 History of Nuclear Physics Survey, 1988. R. W. Fink response to 1988 History of Nuclear Physics Survey, 1988. Raymond T. Birge and Niels Bohr lectures, 1922-1969. Raymond Thayer Birge papers: additions, circa 1914-1969. Robert Bigham Brode papers, 1922-1975. Russell Tracy Crawford miscellany, 1897-1965. Scientists for Sakharov, Orlov And Shcharansky records, 1975-1998. Seth MacFarlane collection on Carl Sagan and Ann Druyan, 1860-2004 (bulk 1962-1997). SLAC Director's Office records of Wolfgang K. H. Panofsky, 1938-[ongoing]. The Atom and Eve, circa 1995. The journey of a German professor to El Dorado, California. The Lick Observatory : transcript, 1966-1967. University of Washington closed circuit television physics lecture series [motion picture], circa 1967. Victor Lenzen papers, circa 1904-1975. W. H. Keesom papers, 1900-1933. Wendell Prescott Roop correspondence, 1907-1928. What next? The story of one American physicist, 1948. White Mountain Research Station administrative files, 1949-1996. Willard Bascom papers, 1938-2000, undated. William Chinowsky papers, circa 1970-1992.